The Rainbow Mountain (local name Vinicunca) is the most famous mountain with it’s iconic mineralogical composition. On my way out of Cusco I visited this unique landmark, situated at 5000m. I wasn’t very lucky with the weather. Still being in the midst of the rain season it was foggy and rainy the entire morning, which blocked the views. You couldn’t see further than 50 meters. But if the mountain won’t show its colours, the local people will. 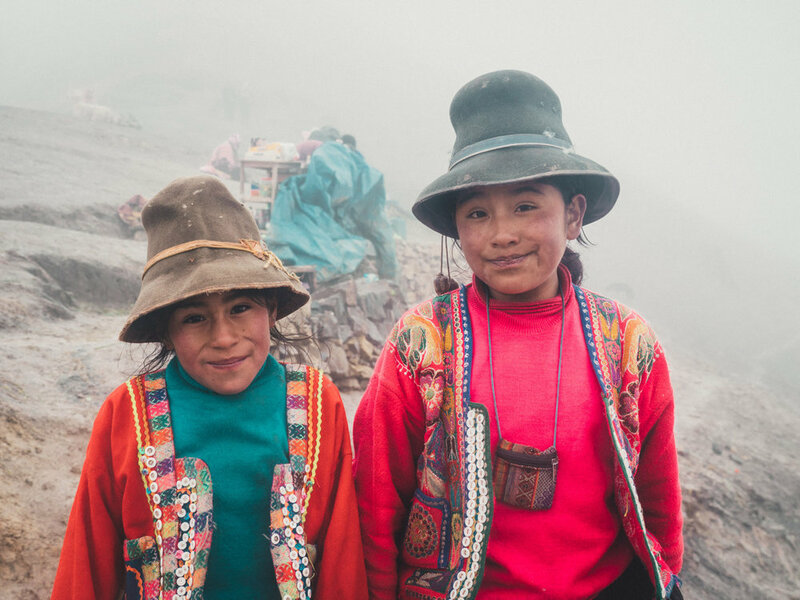 It’s inspiring to see that the poorest group of people in Peru are by far the best dressed. 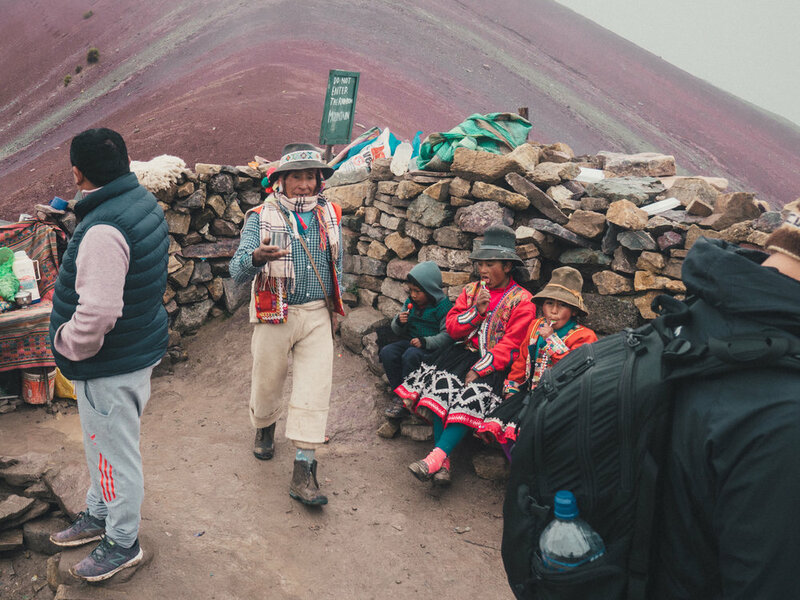 Even more if you consider in what circumstances they live; in muddy highlands, living in small huts, herding their alpacas, and here selling coca tea and snacks to tourists to fight the altitude sickness. The demanding walk towards the top literally takes all the breath out of your lungs. I’ve waited a few hours for the colourful view, but the clouds stayed in place.